Stunning quality construction! 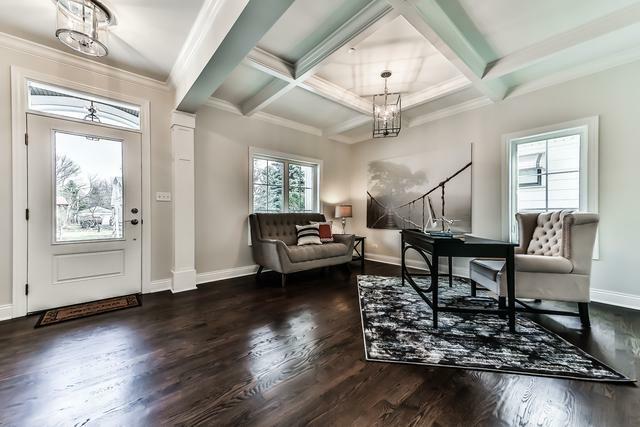 This gorgeous home has 5 beds, 3.1 baths, and features gorgeous hardwood floors throughout main level & master bed. 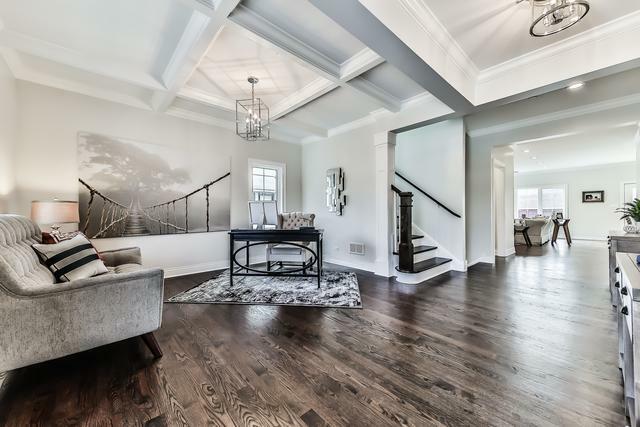 A grand foyer entry opens to a formal library with tray ceilings, and leads you down a custom lit hall to your open concept living. 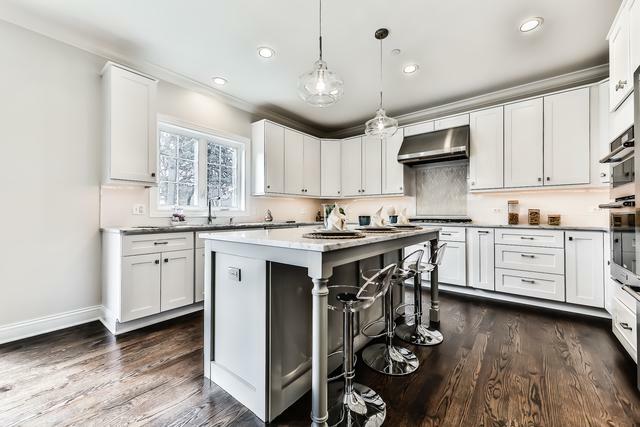 High-end designer eat-in island kitchen with work station, breakfast bar, and opens to a huge sun-filled living/dining combo with gas fireplace. 2-car attached garage leads to a large mudroom/laundry room. A full butlers pantry/wet bar, perfect for entertaining. 4 huge beds upstairs, including master suite with separate stone shower, spa-like tub, changing area & spacious walk-in closet. 5th bed in finished basement, along with media room, office & full bath. 3rd story dormer, roughed in for 4th full bath. Impeccable designer detailing throughout.